A Blistering Ride Through Hell. Key Property Charts to Make Sense of This Week’s Housing Numbers and This Year’s Financial Crisis. Please forward questions, corrections, and reactions to comments below or send me an email. 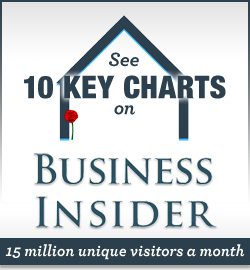 mike@mynewmortgage.com Thanks for carrying the story to Business Insider, DollarCollapse.com, Mortgage News Clips, Patrick.net. Michael David White is a mortgage originator in Chicago. Awesome article. Thanks for backing up your views with concrete data. I was looking into purchasing a home after the first stimulus/rebate and when the second one came I knew something smelled fishy and decided not to buy. Luckily, the RE investing club I go to basically had been saying what you are saying on your website. 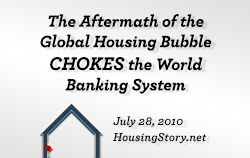 Can you tell us the source of the data in the international housing bubble graph? Thank you. Have you ever seen anything ‘falling up’. How exactly does that work? Great information. We live in Eastern Washington. We bought in 1997, paid $82,000 for an older double wide on 5 acres in two separate lots. Refinanced in 2001 to 20 yrs, rebuilt and upgraded the home, the other lot is now ours as the refinance was on the house lot. Property prices have nearly doubled in the area and our equity is around $80,000 and there is a yearly cap on property taxes. So were hanging tough. As prices fall, we should still be ok. Why rent when we only pay $500.00 a month. We are doubling up on the payments to be free in 6 years? Good plan, but tomorrow is another day and another crisis. What the heck if it all goes down the pan…I plan to die here pennyless or not. Great data. I also live in Southern CA. Prices still need to fall, but don’t expect anyone to tell you that. I was wondering if anyone can run a graph on what the stimulus did to the housing prices. 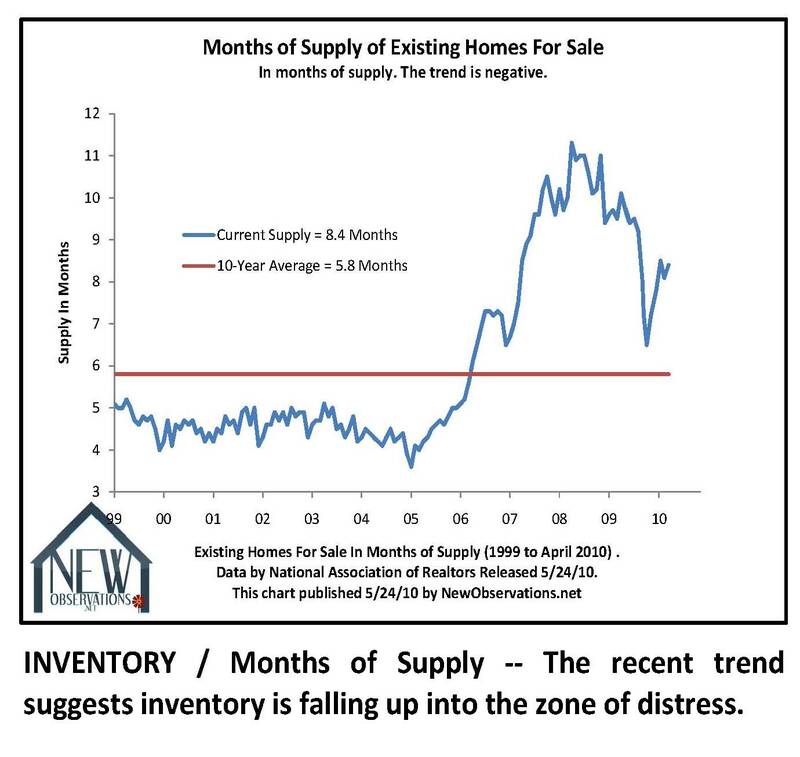 I have been watching the MLS, talking with some other potential buyers, a few sellers and a few investors and we all agree that the stimulus increased the price of homes. Not so much the higher end stuff mind you. We just couldn’t agree on how much. 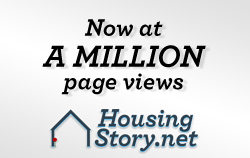 It appears it increased the average price 20,000 to 75,000. I sold my house in 2005 and I’ve been to a lot of open houses since. I always hear the fear and intimidation line, interest rates are going to go up, you need to buy now before the market takes off again. 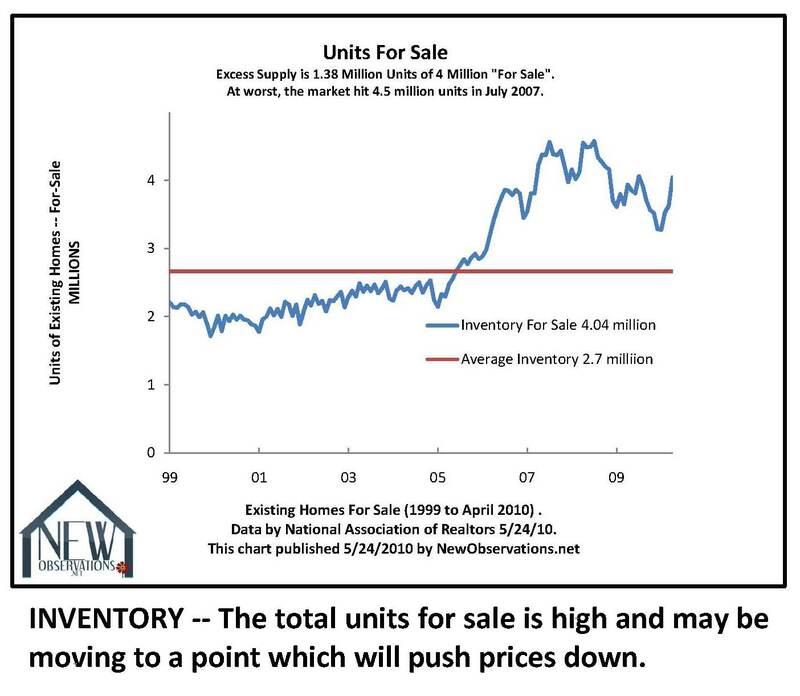 Really if no one can afford the 1/2 million old 1950 tract house at 5% do you think more buyers will line up at 3/4 of a million at 8% a few years down the road? Anyway I could ramble on for hours. 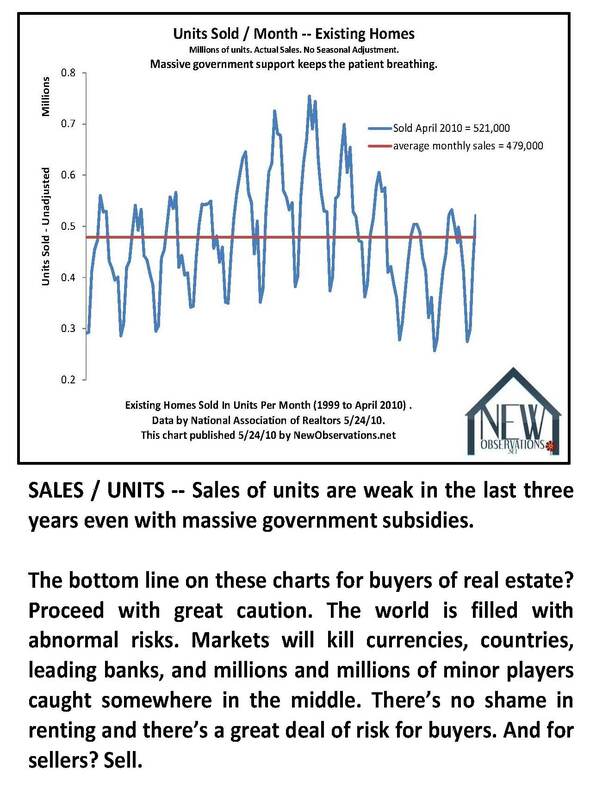 It is starting to sink in that the stimulus was for the housing market, (Realtors, appraisers, banks, Goverment-TAXES) and not the people. 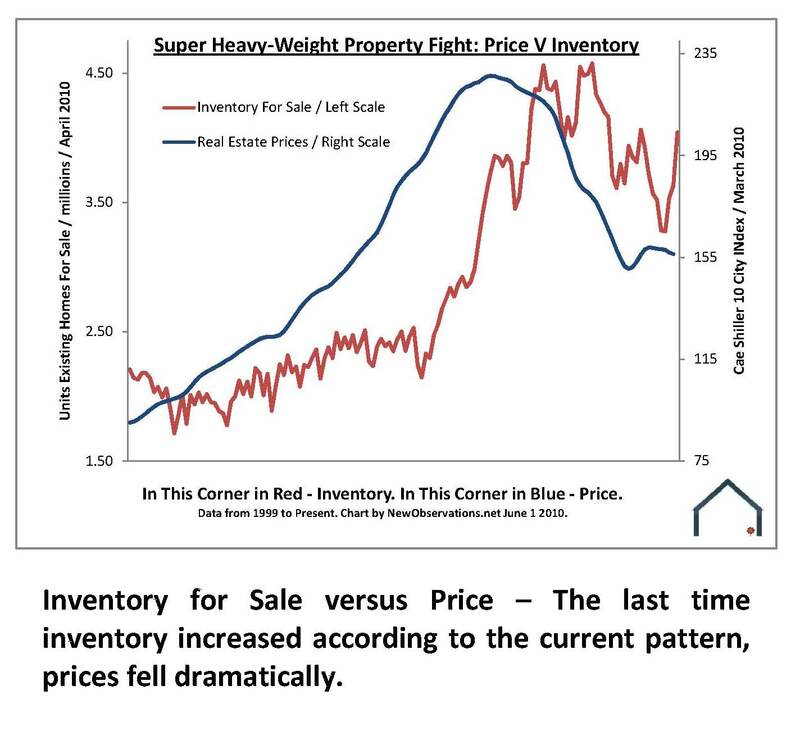 It is quite possible that someone realized that these stimulus (2 fed and 2 state in CA) would create a spike in the average sold price thus altering the sold comps which is what appraisers largely use for valuing future purchases. So the one year of stimulus could have 1-5 years of effect on the comps unless sales pick up dramatically enough to recalculate and washout those stimulus comps. 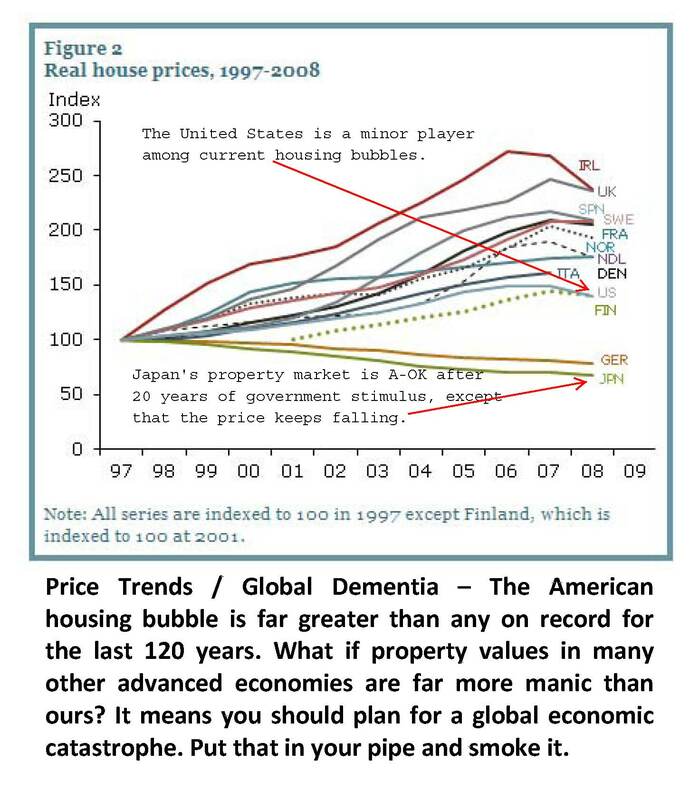 I think we’ll reach the bottom in housing prices when real estate will cease to be a national past-time/obsession. I still see a lot of blogs dedicated to finding good houses in good neighborhood, beating the market, etc. All that will be dust in the wind a few years down the road. Real estate will be return to being one boring sector of the economy, like it should be. I live in California, and the housing prices in the bay area is still very much out of reach for middle income households. Unless you are making over 6 figure salaries, don’t even bother looking at buying. So maybe this whole housing bust thing, though painful, will come out to be a good thing for majority of middle income people who will one day be able to afford a home. They might have to wait 10 years until market and people to readjust their expectations of their property’s worth. 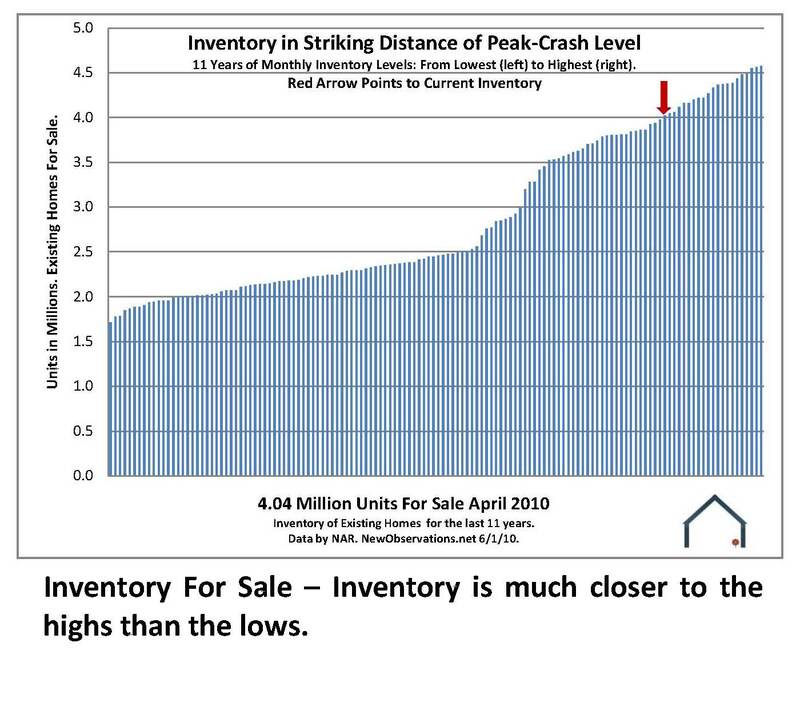 I live here in Northern Virginia where houses prices are still considerably high. My wife and I were looking to buy a house in the next 2 months. 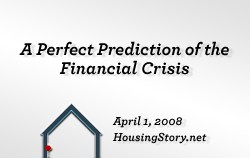 We went through the process, got approved by the bank, did some market analysis, and came up with the conclusion that the house mess we’re in would be here for a long time. It is not over yet, and we are sure this mess will continue. 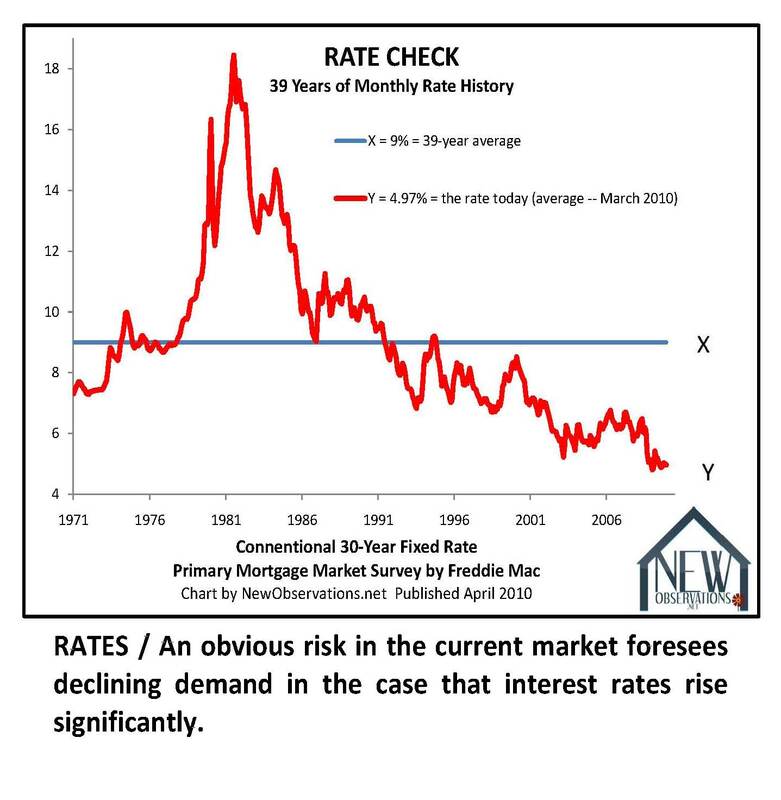 would a lease purchase workout loan projection reflecting true today home values…presented to bank officials….have any chance of being viable for a investor wanting to shed his house to a current renter that wants to stay? Great Article. I realize that these price trend forecasts are averages, but I believe that in certain pockets/areas the prices will fall much more than 17% going forward. I live in California where some areas are still INSANELY HIGH. Unemployment and underemployment are problems. 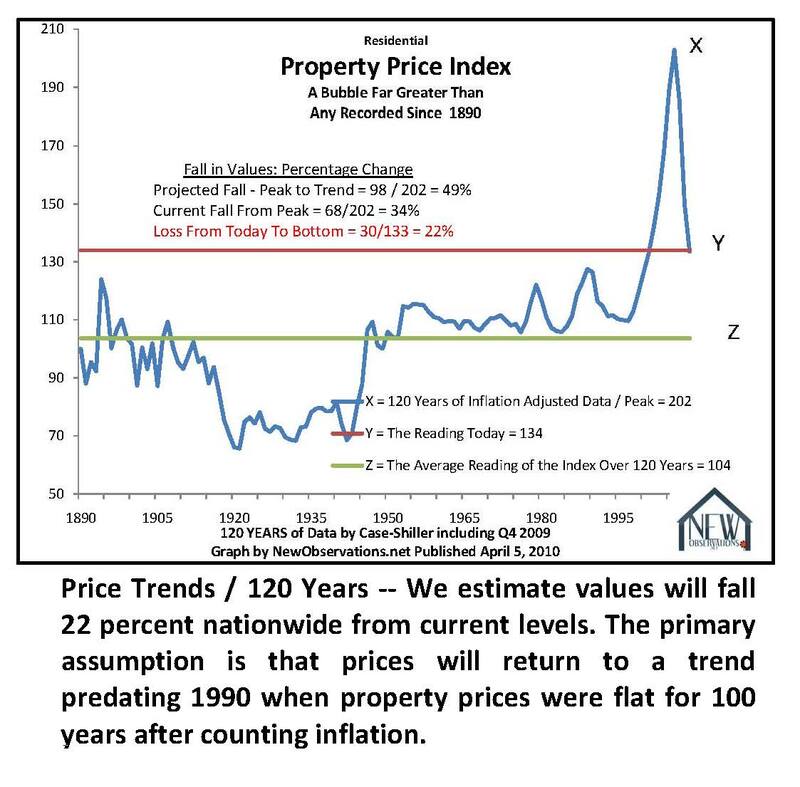 The government has artificially kept home prices high and homeowners just don’t want to see realistic valuations for their homes – they are still thinking bubble era valuations when many homes were $800,000 and above. 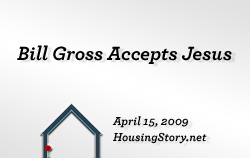 My greatest housing bubble observations is this: The housing bubble has totally twisted/warped peoples’ perception of housing values and the value of money in general. 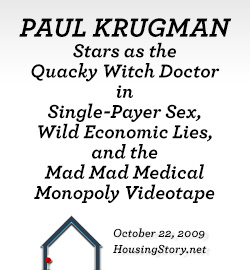 In the bubble days, many houses in California were “worth” (what a joke) $600,000 to $1.2 million, or more. Now many people think that a $500,000 house is CHEAP! (what a bigger joke). 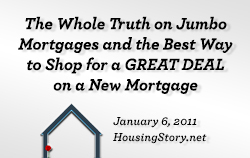 And homeowners who own houses that were “worth” $600,000 or more don’t want to realize the true value of their homes. All of this lunacy is/was due to the availability of easy credit, which is bankers’ monopoly money, created out of thin air. About 2 weeks ago, I met a very nice lady in her 60’s who was the real estate agent in California. She told me that she and her husband (who was also a real estate agent) were losing one of their 2 homes. She said it was on the market for a long time and it did not sell. She said that it was going to end up as a short sale, and that they would lose “everything”. She also said that the house was a large part of their retirement. I walked away in total disbelief. 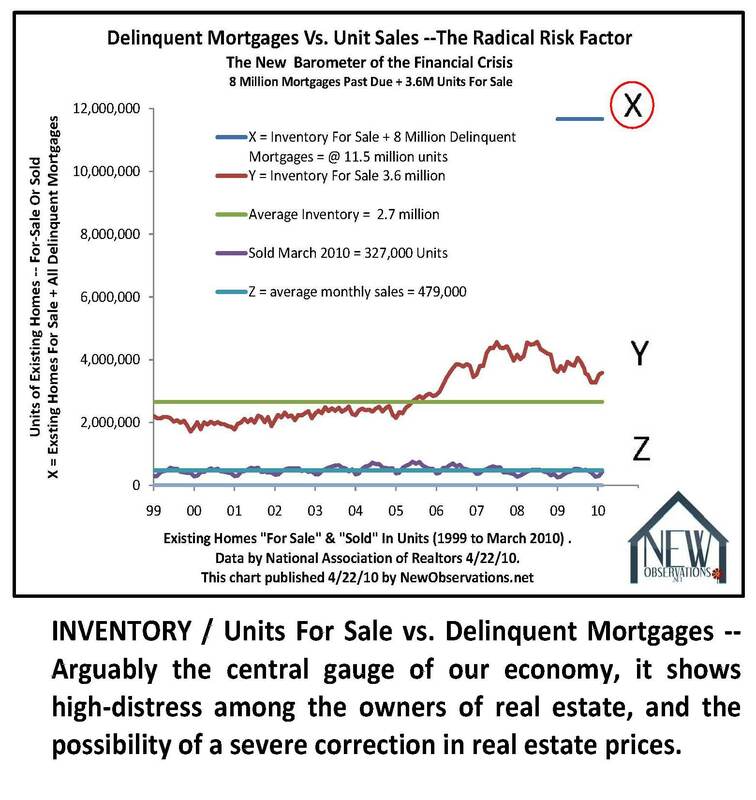 How could 2 real estate professionals be outsmarted by the housing bust? How could they have been so unrealistic about the house’s valuation? Wow. I still can’t believe it. 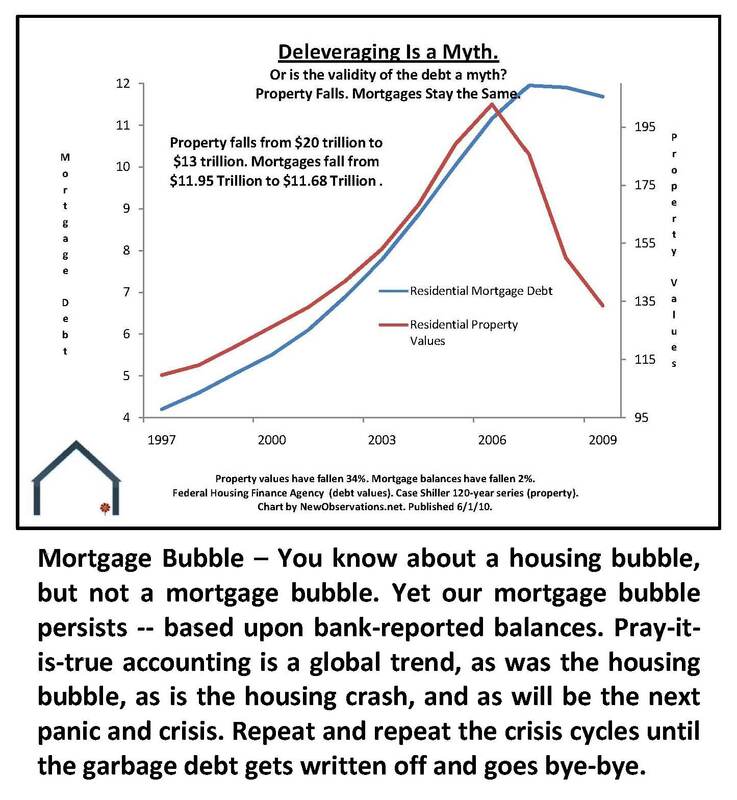 To me the housing bubble seemed very obvious by 2004 and certainly by 2005. Once the liar’s loans, interest only loans and other creative financing became available it was obviously a game. 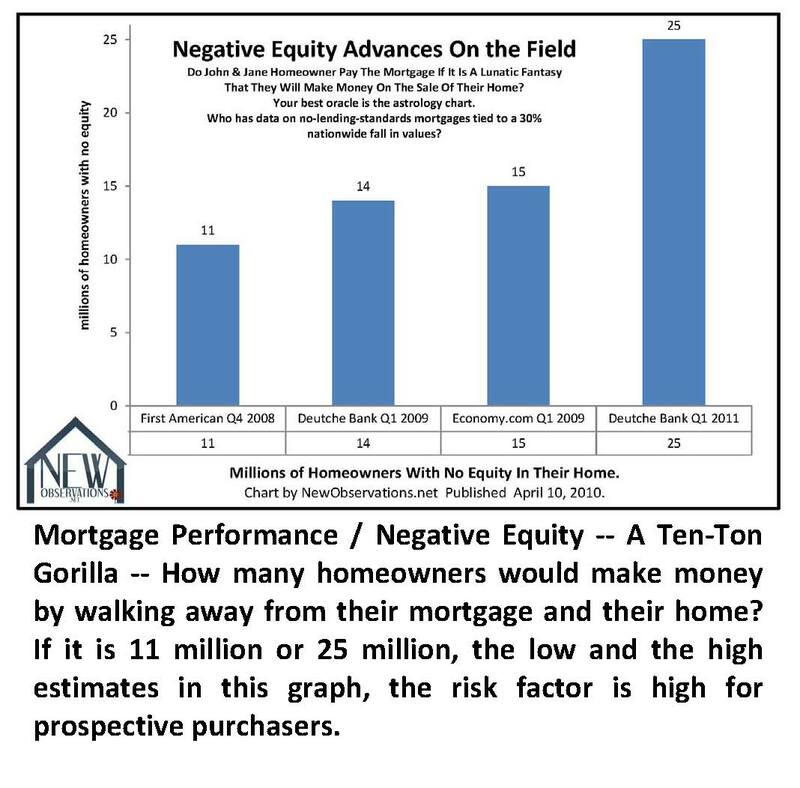 A friend left his job in the NE to join a builder in FL in 2004; he bought one of the builders homes for himself and bought one of the builder’s models as an investment, renting it back to the builder. 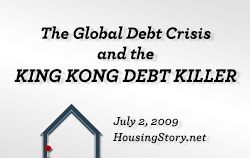 By 2008 the builder had gone bankrupt, spending all of his savings and much of his parents. My friend’s home is worth half of what he paid; I don’t know if he has a mortgage but he most likely would not do a strategic default. 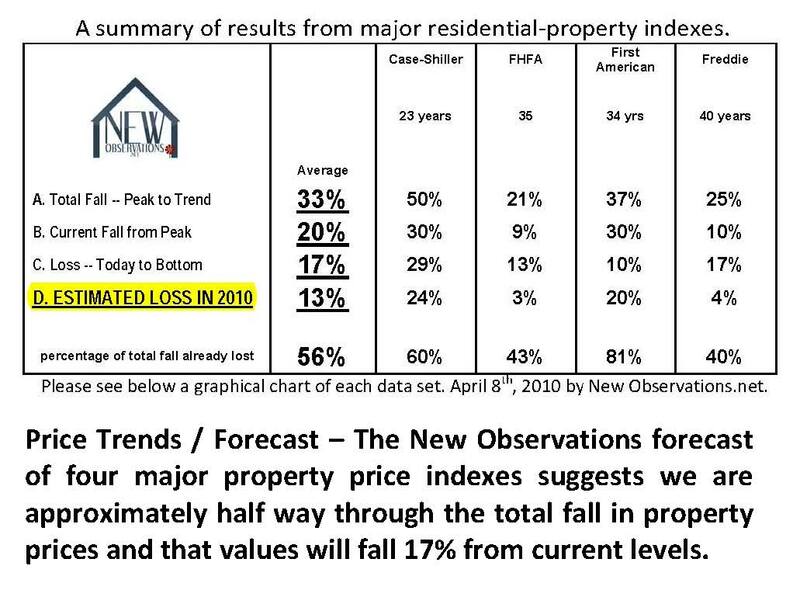 Being retired, needing to move and after looking for 2002-2005, I bought a condo in 4QTR 2005 knowing and expecting I could easily lose 10% and might lose 20%. As of today I’ve lost about 15% but the roof doesn’t leak and I have no need to move so it’s irrelevant to me. 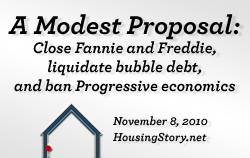 the billions of borrowed and squandered money are now on the books at Fannie and Freddy, and are part of our exploding national debt. It will be paid off with inflated dollars but first we will most likely have a second recession and further dis-inflation if not true deflation. It ain’t pretty and could get much worse. 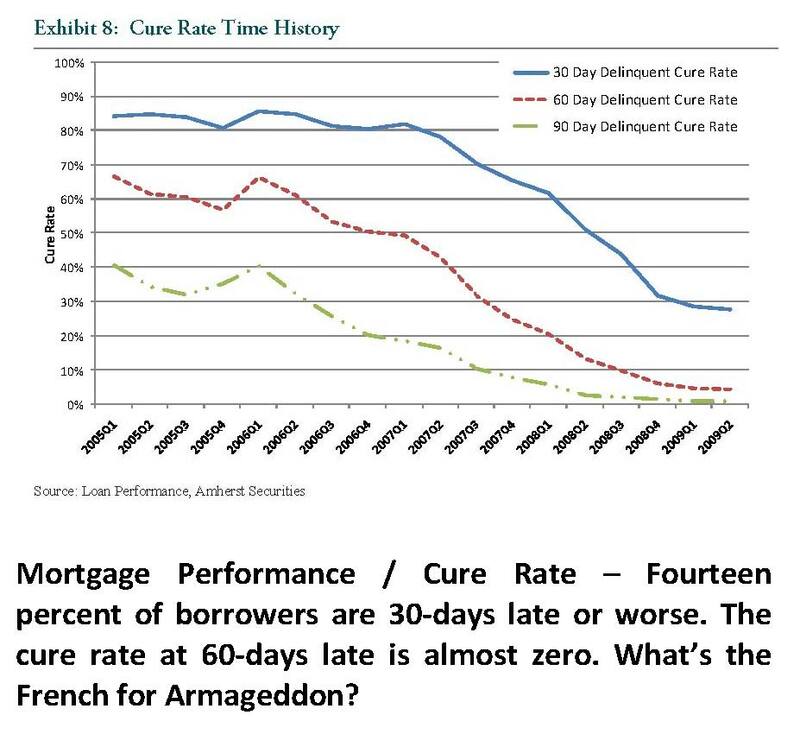 I am not shocked at all that realtors in the business could of been a victim of this ridiculous housing bubble. They are human, and more importantly they are Americans, meaning that they follow just about any trend you put in front of them. I transferred schools from Rochester (where I am born) to Tampa, and was shocked at the price of small ranch homes in South Tampa (I do construction). A home that was worth 80,000 in Rochester was over 200,000 in Tampa. Granted, in Rochester we aren’t affected by the ups and down of the economy (we stay “down”), in Tampa the prices were insanely high. I asked the investors and wanna-be investors how this was, and they were all saying that Tampa is such a great place, and people love it here, and this is just how it is. Well, they were wrong, and while Tampa is still a great place to live, anyone who pays 275,000 + for a 1000 sq ft home is still insane, regardless of market conditions. We are currently flipping houses for investors who are buying them for 20,000 cash. They were selling for 180,000 five years ago. The sad part is, no one seems to of learned a lesson from any of this. They think this was just part of a natural occurence in the economy. While they are right on some levels, this bubble was built, as a previous poster commented, on money that doesn’t exist and pure stupidity.